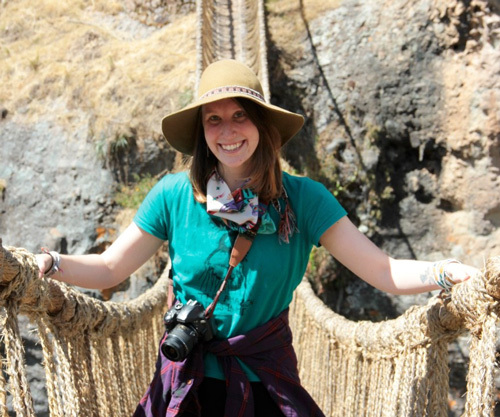 Molly works with you one-on-one to insure that your trip to Peru, Ecuador, or Bolivia meets your every expectation; be it an adventurous journey, a relaxing romantic getaway, or an eye-opening cultural encounter. Having a background in ethnomusicology and teaching English as a foreign language, she is especially savvy about connecting you to local culture and folklore! Molly was born in the big apple of New York City before moving at a young age to a small college town in Massachusetts. 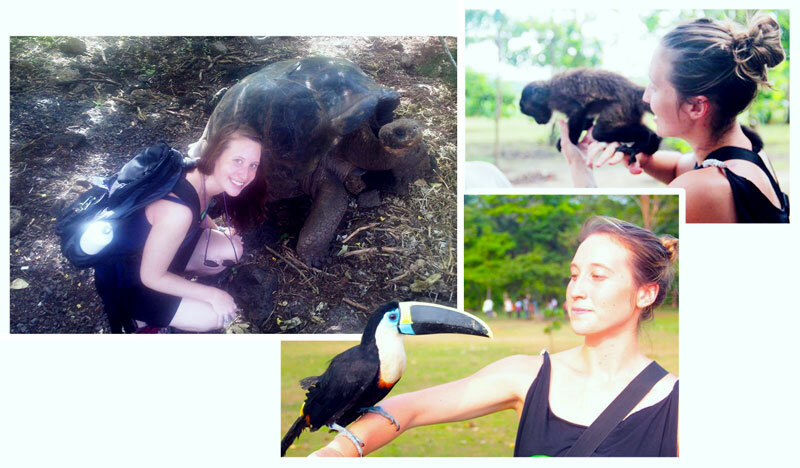 Nowadays she has found her second home in Peru after first studying in Quito, Ecuador then living and teaching in both the Amazonian city of Iquitos and Cusco. On a typical Saturday she can be found swimming laps in the olympic-sized pool of Pisac, cuddling with her cat Jupiter, or belting out jazz tunes from the Monasterio Hotel bar. When I crossed the Q’eswachaka, aka the “last Incan grass bridge,” which suspends across a gorge in the Apurimac River of Southern Peru. 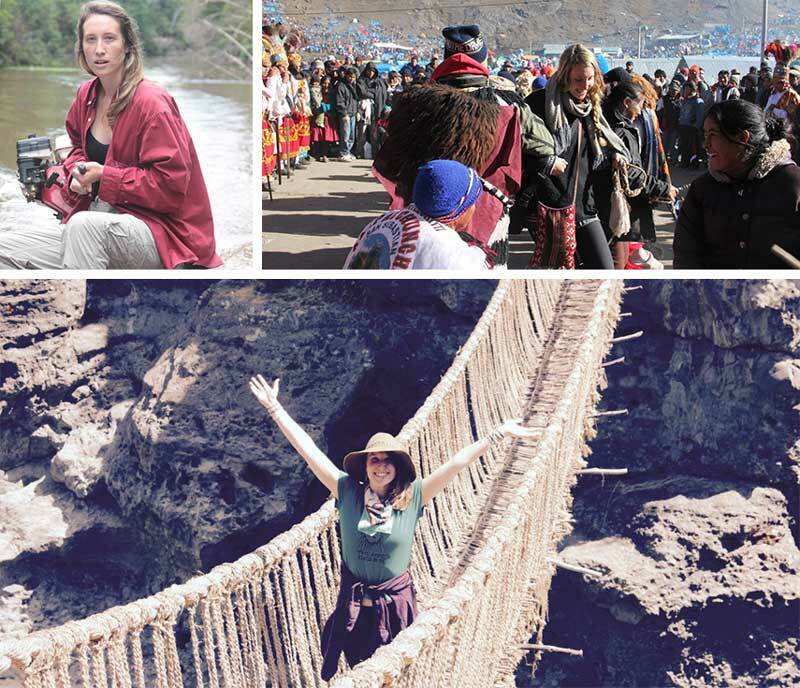 Every June four distinct Quechua communities convene for three days to take this bridge down and ritually construct it anew using traditional Incan techniques of straw-braiding. In 2012 I trekked to the Ausangate glacier to participate in the annual syncretic festival known as El Señor de Qoyllur Riti (Lord of the Snow Star); without a doubt, this experience is one that will live in me forever. The vivacious festival takes place in the last week of May in honor of both Andean and Catholic gods in the hopes of bringing a fertile crop year. Upon arrival to the town of Mawayani (the trek starting point), I steadily climbed for six hours alongside the Hatun Qeros Quechua community. While practicing my rusty Quechua with various members of the community, I was steadily surrounded by a swirling spectrum of dancers, musicians, and masked ukukus – a mythical “bear-man,” Andean trickster spirit, and the symbolic guardian of the festival. When I finally entered the mountainous panorama of the Ausangate Glacier, I breathed as deeply as I could at 4,600 meters, and began to dance. Travel to La Paz, Bolivia to rehearse with a traditional Bolivian pan-pipe (sikuri) ensemble, and also to explore the pristine salt flats of Uyuni! Swimming with sharks in the Galapagos! The difference between a quena flute and a zampoña flute or between a charango and a bandurria! Incan and pre-Incan archaeological sites. How to bargain for the best price in a Cusqueñan marketplace.